Vaporesso Tarot Nano 80W TC Starter Kit is an all-inclusive ultra compact vaping devices. The Tarot Nano Mod integrates a 2500mAh built-in battery and a full display matrix with 0.91 inch OLED screen, providing efficient operational usage despite the stealth form factor. Power output is impressive for its size, utilizing Vaporesso's premier OMNI Board with 80W of maximum power and six output modes, with the new Customized Curve of Wattage (CCW) and Customized Curve of Temperature (CCT) modes adding a greater range of versatility. It also features Bypass Mode, Smart Variable Wattage Mode, and TCR Adjustments for additional standard methods of power. 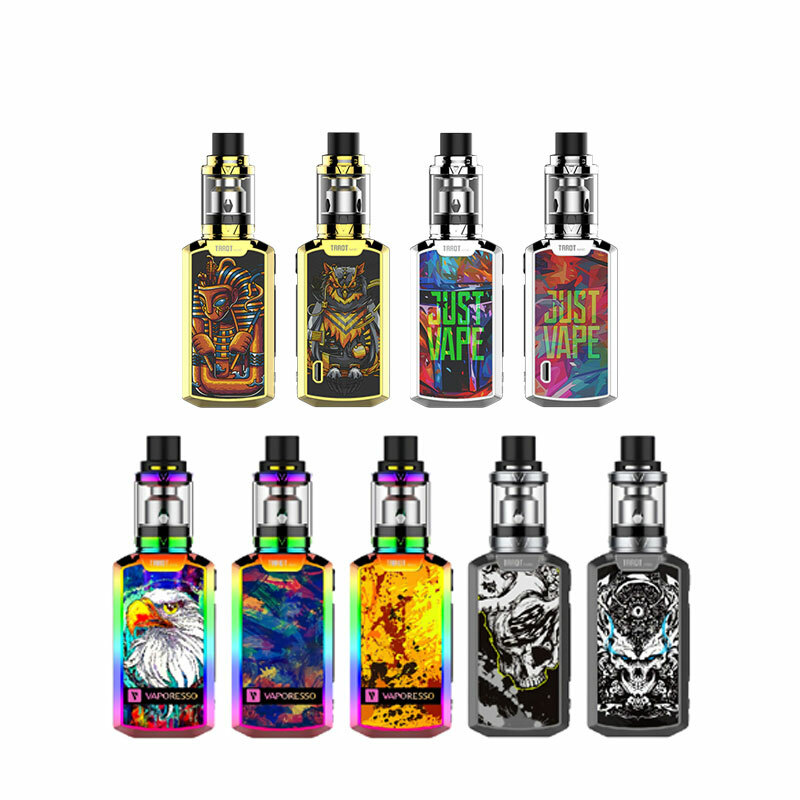 Accompanying the Tarot Nano is the Veco Sub-Ohm Tank with 2 milliliter juice capacity refilled via top-fill method, top adjustable airflow, and the utilization of EUC System. Instead of changing the entire coils, the EUC Coils only requires the changing of the core instead of the entire metal sleeve. The result is a more cost-effective design, while providing ample performance capability. Packing in one of the most sophisticated output systems available today inside an extremely portable set-up, the Vaporesso Tarot Nano 80W TC Starter Kit is the perfect stealth addition to any user's collection. It’s only $53.75 on Urvapin, just get it via this link: Vaporesso Tarot Nano Kit. Vaporesso Tarot Baby Kit is an ultimate elegant device. Powered by built-in 2500mAh battery, the Tarot Baby mod can fire up to 85W maximum output. On the control face, you will find a 0.96-inch full-color display with a vertical menu that has vape data such as a battery bar, lock/unlock icon, current mode, current wattage/temperature, atomizer resistance, puff counts, voltage and puff seconds. And with an upgraded OMNI Board 4.0 which supports 0.002s fast firing speed and is adaptive to all mainstream tanks from 0.03ohm to 5ohm (Super Player Mode). As for the 22mm diameter NRG SE tank, which features sliding top filling, bottom airflow and a maximum e juice capacity of 4.5ml with the bubble glass and 2 ml with the standard glass, and two kinds of coils are contained, GT Meshed Coil (0.18ohm), GT CCELL Coil (0.5ohm). the GT meshed coil maximizes the interaction with cotton and enlarges the heating area; Provides turbo heating performance for producing denser clouds rapidly and evenly; offering a burst of flavor. GT CCELL coil by vaporesso is a technology built on an innovative heating element, carrying the e-liquid, untainted, all the way to the wire, bringing pure and great flavors with long-lasting lifespan. You can booking it with $69.99 from Urvapin, just following this link: Vaporesso Tarot Baby Kit. 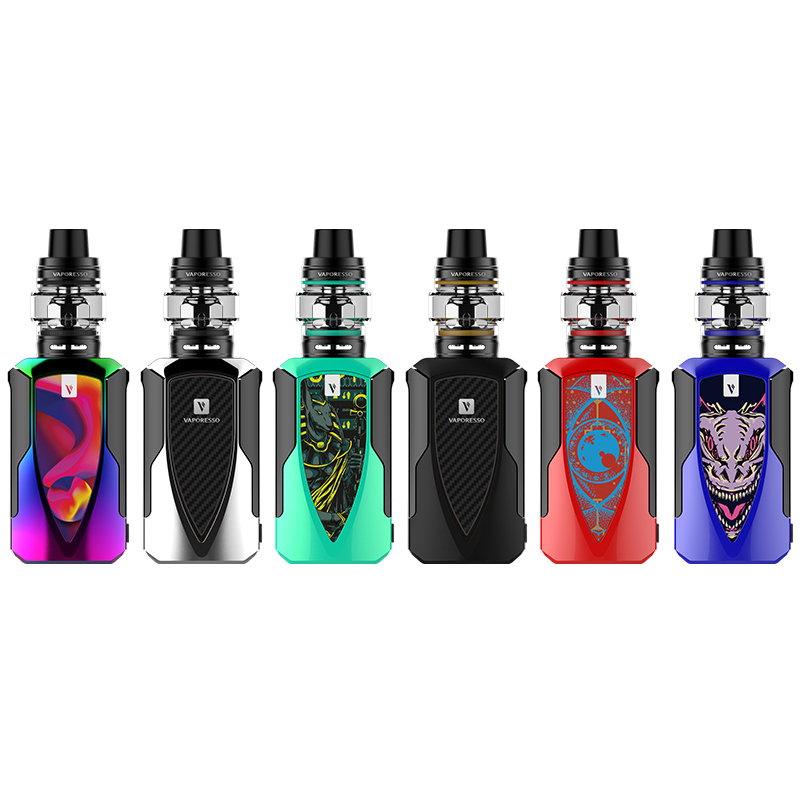 One more thing, revenger is in clearance, you can get it with $45.75 from Urvapin, just following this link: Vaporesso Revenger Kit. Limited offer!